When this piece was installed for the State of the MFA exhibition at O.S.U. 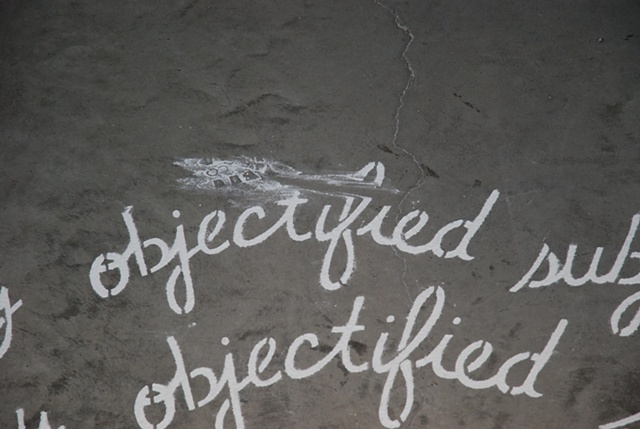 's Urban Art Space in Columbus, OH, gallery goers didn't think that the piece, situated on the floor, was temporal. It wasn't until someone walked on it that the realization was made. I have been employing such ephemeral material to re-present the flimsiness of language. There is an undoing of the apparent concreteness of language through this type of material.